After hearing the bad news, Joe Moretti is faced with a difficult decision. He can either fight for his life, or peacefully accept his fate. The following morning, an old friend he hasn't seen in years, shows up and convinces him to fight for his life with all his might. Fast forward four years, and Joe, having extended his life well past the outer expectations of his doctor, saves three year old Diana Doyle after she has fallen onto the tracks in front of a moving train. Joe dies that very night. Diana, in turn, goes on to lead an extraordinary life as a research doctor, a life that would not have been possible if not for Joe's decision. 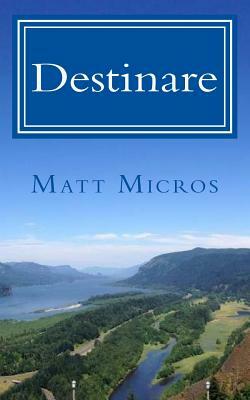 From the Italian word, Destino, meaning destiny or fate, DESTINARE is a story that examines how each life is connected in ways we don't even realize. One person's life affects another's. Which in turn impacts another...and another...and another...until the circle is completed and we arrive at our destiny.